Unwillingly keeping your townhouse might be your best (unintentional) financial move yet! As I pointed out a few days ago, if you bought a townhouse a few years ago, you might be in a position where you can't sell it -- and thus end up being an accidental landlord. But there may be some unintended very positive consequences for keeping that townhouse. Let's examine what might happen if you kept your townhouse for the remainder of the term of your mortgage. You rent the townhouse for $850/month, and are losing about $123/month (comparing your mortgage payment to your rental income) for the first year. Your rental income keeps (very gradually) increasing such that ten years into renting the property you are finally breaking even when comparing the mortgage payment to the rental income. But here's the fantastic news --- over the full 30 years of owning the townhouse you have payed your mortgage company $350,280 in total mortgage payments --- but only $79,380 of that money came from you, as your tenants paid the rest. While your principal and interest won't increase over the life of the loan, your taxes will increase slightly over time, as will your insurance premium. If taxes and insurance increase 1% per year, you'll have $7K of extra expense over 30 years. You will have some maintenance costs during the course of your ownership of the property. Let's guess $15K of extra expense. You could have some vacancy between tenants. If you have one empty month every other year, that's $11K of extra expense. You might feel the need to hire a property management company to take care of the property for you. If you hire a property manager for half of the time that you own the property, that's $14K of extra expense. The $149K of interest that you (and your tenants) paid during the life of the loan is tax deductible, thus $149K of your income has been sheltered, which (with in a 25% tax bracket) provides $37K of extra income. Eventually, property values will start increasing again. If your property increases an average of 1% per year since the time that you became a landlord for the property, the appreciation would add up to $39K of extra income. So, let's try to sum all of this up, remembering that the first seven years of mortgage payments don't need to count as an expense, since you had use of the townhouse as a residence during that time. As you can see, after investing $0.00 on Day 1, you end up having a cumulative $230,352 benefit after 30 years. Wow! So, can this make you a bit more optimistic about being (or feeling) forced to keep your townhouse? Home sales have been declining for over five years in Harrisonburg and Rockingham County and median home sales prices have been declining for three years. This causes some folks to ask – are homes even selling at all these days? Put another way – is it even worth trying to sell my home in this market? Let's examine a few facts about selling your home that might surprise you given the overall market conditions. One third of all homes that sell do so in less than three months. That is to say that of all of the homes that sold in the past six month, 34% of them were listed and then sold in less than 90 days! This is actually more remarkable than it first seems, as it often takes between 30 and 45 days to move from a contract to closing, so these homes that sold in less than three months likely sold (were under contract) in the first 45 to 60 days that they were on the market. As a seller, this should show you that you must price your home appropriately and market it aggressively from the very first day it comes on the market. Despite market adjustments, buyers still aren't negotiating a significantly amount off of the list prices of homes --- although that does occasionally happen. Back in 2000, the average list to sell ratio (sold price / final list price) was 97.4%. As it turns out, last year (2010) buyers were paying (on average) 94.7% of the list price – only a 2.7% adjustment from a decade prior. Thus as a seller you need to price your home well (as mentioned above), and you shouldn't necessarily expect to have to take 15% or 20% off of the list price during negotiations. You are much more likely to be negotiating an average of 5% off of the list price. Even if your neighbors tell you that they are having a terrible time selling their home because there are sooooo many homes on the market, just remember that inventory levels are actually quite low right now. As of early August, there were 882 homes on the market in Harrisonburg and Rockingham, which shows a 13% decline in inventory over the past 12 months. Sellers, thus, have slightly less competition as buyers have fewer homes from which to choose. While inventory levels can vary quite drastically by neighborhood and/or price range, there are many segments on the market where there are very few homes on the market right now. The past four months of contracts have been the highest in the past three years. 380 buyers committed to buy properties in Harrisonburg or Rockingham County between April and July of this year. While there have been single instances of a high number of contracts in the past, this four-consecutive-month rate of 380 contracts cannot be beat when looking at the past three years of sales (contract) history. Five (or so) years ago, there were LOTS of first time buyers purchasing $150K new/newish townhomes in the City of Harrisonburg. Many of these buyers were young professionals or newly married couples. At the time, 100% mortgages were readily available, and sellers frequently paid closing costs, so a buyer could get into a house with just about no money at all. Buying a house was the cool and hip thing to do, so young people were buying houses/townhouses let and right. Fast forward to today, and we find that things are a bit different. People who would have bought five years ago are now renting because they would now need at least 3.5% of the purchase price as a down payment, and may have to pay their own closing costs. They also aren't buying because home values aren't increasing at a pace that would allow them to sell the house in the next few years without taking a loss. Thus, lots of the buyers of yesteryear are now not buyers at all --- they are deciding to rent a townhouse instead. But wait......so if there are lots of townhouse sellers, and fewer and fewer townhouse buyers, what is happening, or what will happen? In large part, many of today's would-be sellers are turning into landlords. After not being able to sell their townhouse that they bought five years ago, they decide to try to rent the property instead. This entire shift in who is (not) buying and who is (not) selling will likely take several years to sort itself out. One interest side effect is that there will be lots of 30-somethings who will unintentionally end up owning an investment property when they hadn't been aiming to do so. I heard (insert this, that or the other) about foreclosures. Is that going to affect us here in Harrisonburg? If you hear something about the housing market on the news, it will likely mention the big (bad, scary) problem of foreclosures. The next wave of foreclosures is going to be huge! There are millions of homes as a part of a "shadow inventory" -- that were foreclosed on by the bank, but that have not yet been put on the market for sale. Mortgage delinquencies are on the rise. Foreclosures are highly concentrated in just a few states. 52% of the foreclosure inventory in the second quarter of 2011 was in only five states. Harrisonburg and Rockingham County (and Virginia) foreclosure rates have always been much lower than most areas of the country. Harrisonburg and Rockingham County foreclosures are declining. So, yes, foreclosures are a problem nationwide, but significantly less so in Harrisonburg and Rockingham County. The graph above starts Harrisonburg (and Rockingham County) and Virginia on the same footing based on the number of sales in July 2010. Then, comparing the subsequent 12 months, we see that the Harrisonburg and Rockingham County housing market is (using this analysis tool) performing quite well compared to the entire state of Virginia. Our local housing market has especially performed well over the past four months, as shown above in yellow, which echos what we have seen in recently analysis of our local sales data. 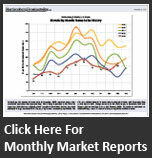 Click the image below to download a PDF of the entire July 2011 Virginia Housing Market Report. Did the federal home buyer tax credit impact the pace of home sales in Harrisonburg and Rockingham County? The federal home buyer tax credit did not seem to have a lasting, positive impact on the local housing market. While the federal home buyer tax credit (timeframe shown in green above) did cause the pace of home sales to increase, it was not lasting -- sales declined again after the tax credit expired. We're now roughly a year out from the expiration of the tax credit, so we are now getting close to being able to analyze the local housing market without a backwards reference to the (long) period of time with government intervention as an influencing external variable. It's great, thus, that the real estate market seems to finally be improving as of mid-August. Great news for buyers! Average 30-year fixed rate mortgages at only 4.15% per Freddie Mac. The downgrade of the United States' credit rating sure helped mortgage interest rates! Wow! The average rate on a 30 year fixed rate mortgage is now 4.15%. This is certainly a great time to lock in a rate and buy a house. You will likely be locking in your housing costs to the lowest possible point they could be for the near-term future given both low interest rates and low median home values. As seen above, more sellers are giving concessions these days to close the deal. These concessions are most often a credit towards closing costs -- and thus far in 2011, 41.2% of sellers have provided such concessions at closing in Harrisonburg and Rockingham County home sales. This is a 30% increase over just three years ago. Not only are more sellers making concessions, the average concessions are also on the rise --- from $1,213 three years ago to $1,858 thus far in 2011. This shows 53% increase, though the current average of $1,858 is less than 1% of the current average sales price of $201,364. While we're not out of the wood yet, there are many positive indicators in our local housing market that seem to show a modest and slow start to market recovery. Stay tuned -- I believe we'll continue to see an improvement throughout the balance of the year. Should I be worried if I am paying more than the assessed value for a house? If you're buying a single family home in Rockingham County, chances are, you're paying more than assessed value for the house. Should you be concerned? No --- it just means that the assessed values aren't currently as close to market value as they are intended to be. To check in on the relationship between purchase prices and assessed values, I pulled all single family homes that sold in the past month in Rockingham County that were not bank owned sales. I then compared each sales price to the assessed value and found that most buyers paid at least 5% more than the assessed value (shown in red above). If almost all buyers were paying significantly less than assessed value, I'd be concerned about you paying more than assessed value --- but assessed values in Rockingham County are still quite low right now, leading to the data above. For your reference, in these 38 transactions, buyers paid (on average) 15% more than the assessed value of the home. At the pace of the market improves, list to sale price ratios increase, likewise as the real estate market slows, the list to sales price ratio declines. It is wild that homes were selling **on average** at 99.1% of the list price in 2005, as this must mean that quite a few were selling above the list price. 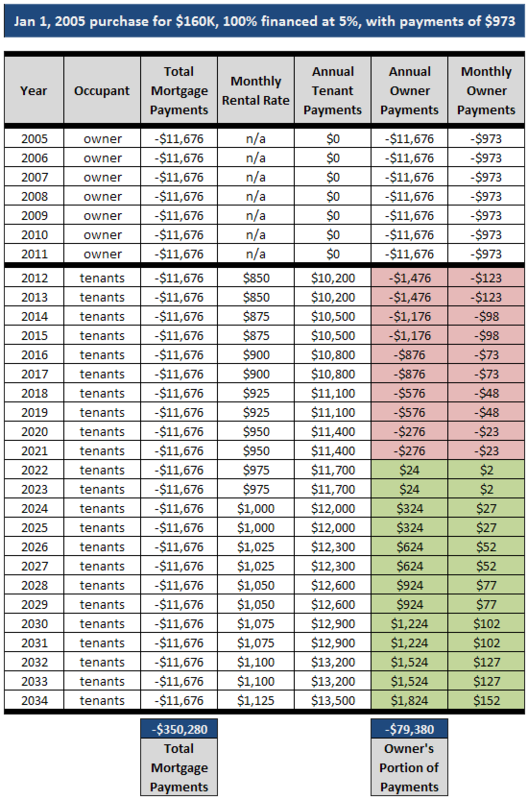 Somehow, 2009 was an exciting year with the list to sale price ratio shooting back up to 99.2% -- perhaps because 2009 included one of the expirations of the home buyer tax credit? So, the downgrade of the U.S. credit rating will definitely lead to an increase in interest rates, right? While rates could still swing back upward, thus far rates have just continued to decline after the downgrade of the United States' credit rating. There are lots of positive trends in the local housing market right now! Does this mean that the local real estate market fully recovered? Is the future now rosy and bright? Will home value start going up, up, up again? So how do we sort out all of these short-term positive trends, and these longer-term negative trends? Should we be shouting for joy? Should we be worried and fearful? I would suggest cautious optimism. While we're not out of the woods yet, there are lots of indicators that would suggest that we're nearing a turning point in the market. Just wait until all of these contracts turn into home sales! It is exciting to see how quickly contracts are coming together on homes in Harrisonburg and Rockingham County compared to the past several years. At the rate that properties are currently going under contract, 2011 should finish out a (relatively) strong year of home sales -- very likely exceeding 2010 sales. Increased contracts will eventually lead to increased sales will eventually lead to stabilized home values will eventually lead to a more balanced real estate market. Stay tuned! Home Sales Increase, Prices Increase, Contracts Increase! Finally, some signs of hope for the local housing market! I just completed my monthly analysis of the Harrisonburg and Rockingham County real estate market, and there are plenty of reasons to be excited. Download the full market report (PDF, 7MB) or read on for some highlights. As seen above, July 2011 home sales shot past July 2010 by 48% --- which helped the year-to-date sales pace to come within 6% of last year's pace. Furthermore, we did not see a decline in median sales prices when comparing this July and last July....and....the average sales price INCREASED by 5% comparing July to July. But it gets better --- the next few months should be rather exciting as well, since July 2011 buyer activity (shown above) exceeded both July 2009 and July 2010 contract levels. Finally, some good news for local home builders, new home sales may finally be stabilizing, with both the pace and price of new homes looking to stay relatively consistent between 2010 and 2011 (as shown above). One of the reasons (among many) that we are continuing to see improvement in the local housing market is because mortgage interest rates continue to stay below 5%. As shown above, they have started to increase a bit, but are still at an average of 4.6%. Click on the image above to download my full Harrisonburg & Rockingham County Real Estate Market Report for further analysis of our local housing market. As always, I have included both the good news and the bad news -- my hope is that my analysis will empower you to make the best real estate decisions possible. What goes into determining an asking price for a house? I was in Virginia Beach for a few days last week, and the house where we stayed (pictured above) is currently listed for sale. The price (near $1M) seemed high, but it is a almost-beachfront property, and I don't really know much about the Virginia Beach real estate market. In talking with the neighbors, however, we were told that the asking price really was too high, and that it was a result of what is owed on the property. The scenario above is not unusual -- plenty of homes on the market today are priced relative to how much the seller owes the bank, instead of based on market realities. Closer to home, in conversation two weeks ago with a buyer client, he asked "so why is that house priced so high?" I responded with "because they wanted to price it that high." Indeed, a home seller can price their home (if their Realtor is willing) however high (or low) they want to --- which means that the asking prices of homes are not always logical. Don't read too much into the asking price of a house -- it could be extraordinarily high, or the deal of the decade. Talk to your Realtor about the recent sales prices of comparable homes to ground yourself in current market realities.